Our involvement in the scheme is an ongoing process and staff are regularly encouraged to come up with energy saving ideas and change all their behaviours for the sake of the environment. As a member of staff at the University, you are expected to carry out your everyday work in a way which makes as little impact on the environment as possible - there's lots of useful information here and on the official Green Notice Board near the kitchen. For 2015/16 we are taking part in a new programme Green15 to promote environmental sustainability across campus with sustainable transport, recycling and waste reduction, energy and water efficiency, biodiversity and sustainable procurement and food. EMS will once again be working to achieve criteria across the five categories. 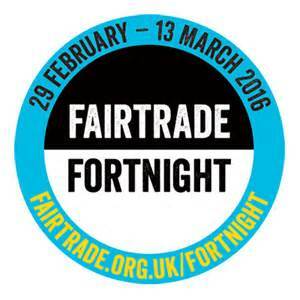 Fairtrade Fortnight 2016 will be encourage campaigners to inspire Big Fairtrade Breakfasts in their community – and wake others up to the challenges facing farmers and workers. Reading books and magazines from home or work can be put in the book exchange near the ground floor entrance to the downstairs offices for you to read and if you wish keep any items from the exchange. They can also be donated to one of the eight British Heart Foundation donation points on campus. Please turn your screen off if away from your desk for 5 minutes or more. If everyone does this, we can save an unbelievable amount of energy! If your desk is next to a radiator, turn this down when the weather gets warmer. Think about whether you really need to print something or not before you press print. Many people print emails when an electronic record would be sufficient. We ask you to use the water jugs and glasses in the kitchen cupboard if you are having a meeting or if you are welcoming visitors rather than use the throw away plastic cups. If you are ordering catering for an event or a meeting, we would prefer you to opt for local, greener alternatives where possible such as free range eggs and vegetarian food which is more energy efficient. Try not to order too much food. Cut fruit and cut cheeses are particularly prone to being wasted and try to avoid suppliers who put sandwiches on beds of salad which are then thrown away. It you do have left over food in edible condition, bring it back to the office for your colleagues! If you are an EMS staff member and you have a green idea or would like to find out about joining the EMS Green Impact team, then we would love to hear from you. Simply submit your idea/suggestion via our short online form. EMS achieved the Gold level in the Green Impact Project 2014-15. The auditors stated they were very impressed with all the commitment and hard work.